We start our thinking with the ways cars, parking and security intersect. First, we make the assumption that the term “cars” also includes drivers, passengers and car contents, where appropriate. We then suggest that cars require protection from events that occur outside a parking garage (weather, fire, attack, etc.) as well as events inside a parking garage (accidental damage, fire, sabotage, theft, etc.). Conversely, we suggest that security measures also include keeping people and property nearby a car parking garage protected from the cars and their contents (e.g. terrorists or explosives within cars). It’s easy to understand that the biggest advancement in parking garage security measures starts by putting parking underground…but, not directly under a building. Tons of earth acts like as containment or a barrier addressing many of our internal-external protection issues. It also eliminates any uncertainties about entry and exit points to the parking area. The next largest step is to remove people from the parking area…this not only keeps them safe but eliminates the opportunity for them to do damage to cars or the garage or to do damage outside the garage. Now, let’s get the brain cells working and focus on the possibilities of an underground automated parking system (garage). · any other measure to ensure a car contains no dangerous devices or hidden people. Underground, it’s easier to isolate parked cars from electromagnetic radiation. That could include interrupting radio and cell phone waves that might trigger or activate devices. It might also include special shielding from electromagnetic pulses designed to damage sensitive electronics. Imagine also protecting backup electrical services and generators within the automated parking system so that it remains usable after an external disturbance that disrupts the electrical supply. While we’re at it, we could suggest remote monitoring and authority for operation of the parking system. Operators have the chance to see and interrogate drivers and passengers before allowing them to exit the parking facility and before allowing cars to enter the parking area…a significant deterrent to any type of mischief or attack. This might well be the parking garage with the most advanced security arrangements. 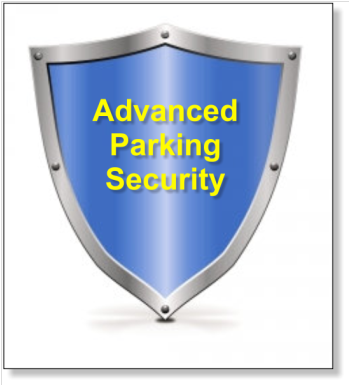 Why not contact your Skyline Parkingrepresentative to discuss your parking security challenges.